Integrated Transportation Resources, Inc. is highly experienced in serving not only providers within a network and their insurance risk, but also extensively experienced in handling large transportation management brokerages doing revenue in excess of over 100,000,000. Para transit and Non-Emergency Medical Transportation (NEMT) operations are a delicate risk and must be handled and placed correctly and appropriately. Without a clear understanding of the true risk and the correct placement of coverage, a claim could be disastrous resulting in exposure without coverage. We have found this to be true from current insureds who may have dealt with a local agent who had minimal understanding of the true exposures actually surrounding this specific risk and offered an alternative of which no coverage existed for that specific area of operation. ITR takes pride in being dedicated to gaining an understanding of the true risk and placement of that risk. ITR has never had an errors and omissions claim. This is a direct result of doing it right from the beginning. Para transit is an alternative mode of flexible passenger transportation that does not follow fixed routes or schedules. Typically, minibusses are used to provide Para transit service, but share taxis and jitneys are also important providers. NEMT stands for Non-Emergency Medical Transportation. Most people who have managed care can get a ride to their health care appointments from the NEMT program. The NEMT program can be used when you do not have a way to your health care appointment without charge. The NEMT program may use public transportation or bus tokens, vans, taxi, ambulance, or even an airplane if necessary to get you to your health care appointment. You may also be able to get help with gas costs if you have a car, or have a friend or a neighbor who can take you. The NEMT program must okay this before your appointment. In this industry, there’s no doubt how important coverage is to your business. We’re here to help! 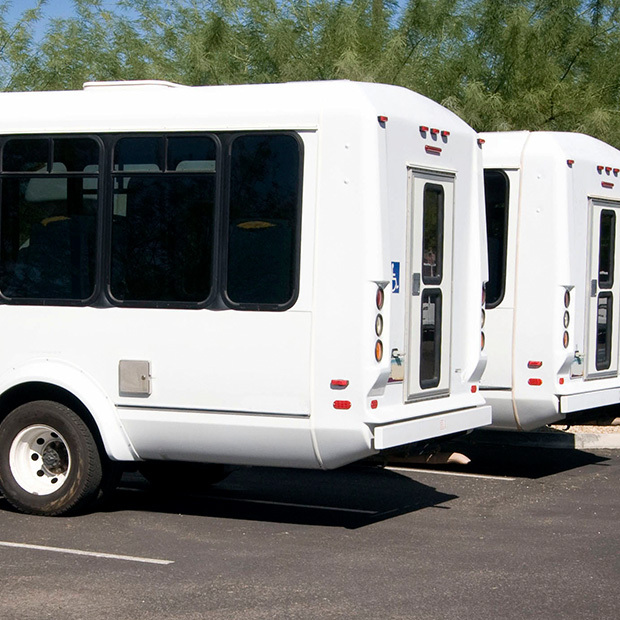 Within the Para transit and NEMT industry, ITR can place any coverage you may need. Ready to Talk? We’re Great Listeners! Whether it’s commercial auto liability, commercial general liability, or workers compensation – ITR can help! We will work with you to listen and understand your business, then help provide you with a comprehensive quote. With a quote from ITR, you can feel secure knowing all research has been exhausted in compiling your quote. Contact us today and let us know how we can help you with your Para transit and NEMT insurance needs.